and during school Vacation Weeks. Our vacation mini program is indoors at our state of the art, air conditioned facility. Half day programs are a drop-off program. 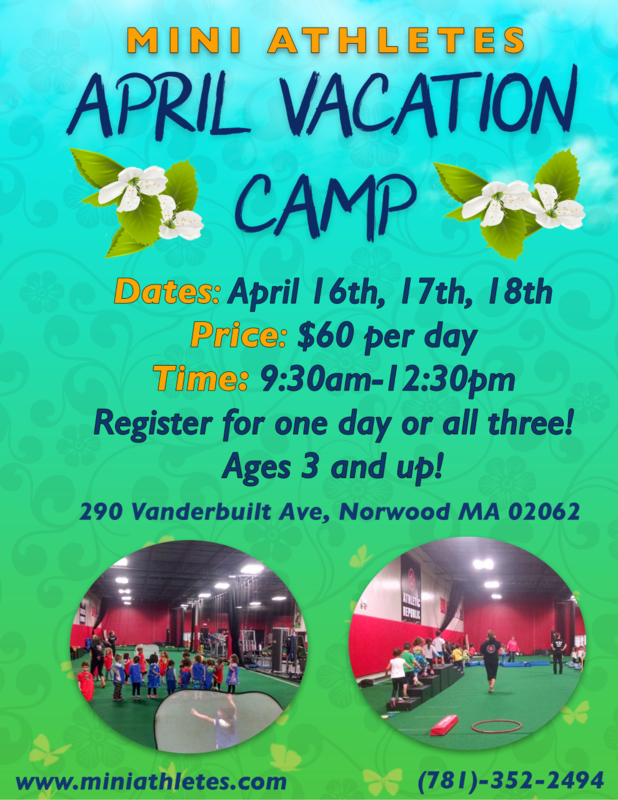 The program consists of age appropriate sports and games, such as: Basketball, Knock-out, Baseball, Capture The Flag, Flag Football, Dodgeball, Soccer, Floor Hockey, Lacrosse and Tennis. Also included is non competitive games, arts & crafts, and more. Our dedicated staff is well trained and experienced with all ages. We supply a healthy nut free snack – You bring a lunch!